Excellent choice of speaker, but was due process adhered to? That seemed to be the stance of the opposition MPs in parliament today, barring KJ and Anifah, as they staged a walk out during the swearing in of the speaker of the Dewan Rakyat, Ariff Mohd Yusof. I don’t think there is anyone who disputes the credentials of this man. We have every reason to expect to see respectability restored to parliament, overseen by him. Opposition MPs who staged the walk out dispute that his nomination, in writing, by the government, was made by 2nd July, 2018 as asserted by the secretary of parliament. 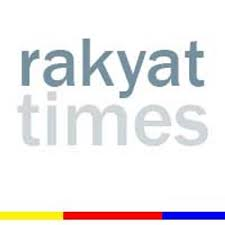 Malaysiakini quoted Zahid as saying that they have evidence that Ariff’s name was not submitted to the parliament secretary within the 14 days as required. on 11th July, Sungai Petani MP Johari Abdul reportedly declined the offer to be Speaker. Takiyuddin contends that based on this, it’s improbable that notice of Ariff’s nomination was done on 2nd July. I have to say that he does appear to have a point here. Malaysiakini also reports that when asked if legal action would be taken on this issue, Pengerang MP Azalina Othman Said responded that they would check with the secretary of parliament on the correctness of whether the written notification was submitted by 2nd July. Maybe she should check Zahid’s ‘evidence’ first. What I found strange was those MPs who staged a walkout, later walked back in to be sworn in before the speaker whose appointment they believed to be procedurally wrong! Should they not have headed to court and commenced proceedings to get this issue cleared up? I am all for Ariff as speaker, but I, too, want to know if the new parliament has kicked off properly. I too agree..if we truly support Malaysia Baru, we shld be meticulous that the nomination of such an important post as the Speaker (and I fully support Ariff Mohd Yusof’s appointment), must conform to Parliamentary rules fully. They promised to appoint the speaker from among the MPs, but that would result in a by-election. Don’t they know the rules? Very POOR Choice…disagree 100% ..This Ariff is speaker without MANDATE…Just like all those Scumbags Senators being voted in as deputy minister without Mandate….. Frankly Go to Hell also with Harapan Choice of people and CHANGE. I expect by GE 15 ALL Senators MUST be Voted by the People or GET RID of the ALL Senators + Sultan Dedak Money Salary eaters Scumbagd…. This we can debate. Malaysia should have Stayed with convention of Speaker with Mandate and make Hannah Yeoh as Speaker…Right now we sit and watch? ?….Still Mrs Gandhi have not got back her Kid…force convert to islam…with Malanjun as CJ…and Tommy AG…and IGP do nothing….Genocide still happening among Orang Asli in Kelantan and Zakir Naik given PR for What??? 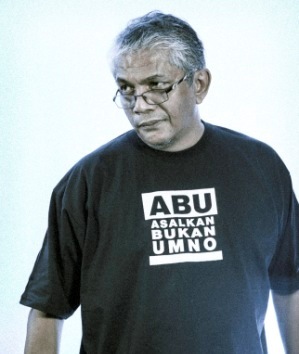 Force ALL who are born in Malaysia be made bumiputera….Why is zahid Hamidi and Ragad Taib a Bumiputera??….. 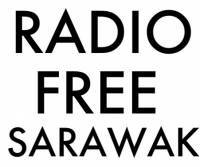 This is NOT UBAH or ABU…this is more of the SAME CRAP…..then I will continue Agenda 2020…>SACK Malaya from Sabah-Sarawak!! Its time for the 3rd Force to take out PKR, DAP and BERSATU MP who condone the same ideology of Barisan Bangsat Negara….